What's Your Trade In Worth? 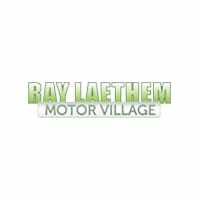 | Value Your Vehicle | Ray Laethem Chrysler Dodge Jeep Ram " "
You Are Here: Home > Find Out What Your Vehicle Is Worth! In 2 steps and 30 seconds you can see all the similar cars to yours for sale in the market today! Start by filling in and selecting your Year, Make, Model, and Trim below. Our friendly used car team is here to assist you with an easy and quick Free Quote on selling us your vehicle. We want your vehicle– whether you buy from us or not! Looking to find out what your vehicle is worth? Now you can in under 30 seconds with our Instant Vehicle Value Report. We use a database filled with every vehicle available for sale in Michigan to determine what the resale value of your car, truck, or SUV is. Simply type your vehicle year, make, and model into the search box above and get the value report instantly. Once you get the report, you can enter your zip code and vehicle mileage to find out what your vehicle is worth in our local area. Using our vehicle value report is fast, easy, and secure. Ready to get started? Simply start your search above.